Kilkee became a national leader by becoming the first town in Ireland to go completely plastic free. Businesses in the West Clare town all agreed to switch to biodegradable coffee cups, straws, pizza boxes and takeaway containers among others. East Clare’s Patrick McMillan became Clare’s first ever Winter Olymian as he took on the alpine skiing, alpine combined, downhill and super-G divisions at the event in South Korea. “It’s the biggest moment of my life and it’s been years and years of working to get to this point; I know my mom is very excited to watch us in the opening ceremony so it’s going to be great,” Patrick said. Patrick, who went to Raheenwood Steiner Primary School until 2004 and who still regularly visits his family home in Killaloe, was a keen hurler and rugby player. 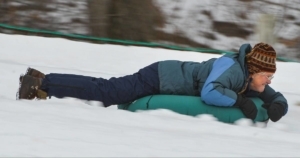 abundance of fun for youngsters, the heavy snowfall had a significant bottom line impact on businesses across County Clare. 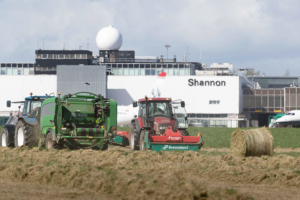 SHANNON Airport pledged its support to farmers battling the fodder crisis by offering to repeat its intervention of 2013 when it harvested silage from its 400 acre site. The Airport’s operations team met with farmers to organise the fast-track of grass cutting on the airport grounds in light of the severe difficulties faced by many farmers due to the prolonged inclement winter and spring weather. 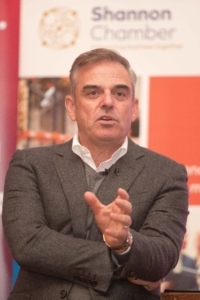 Lahinch Golf Club was announced as the first Clare course to host The Irish Open, after being backed by Dublin golfing legend Paul McGinley. It is understood in the region of 100,000 people will attend the event next July. Soon after the announcement, attentions turned to Blake’s Corner. A spokesperson for Clare County Council told The Clare Echo, “Blake’s Corner proposed solution of a second river crossing will not be delivered in time for the Irish Open”. 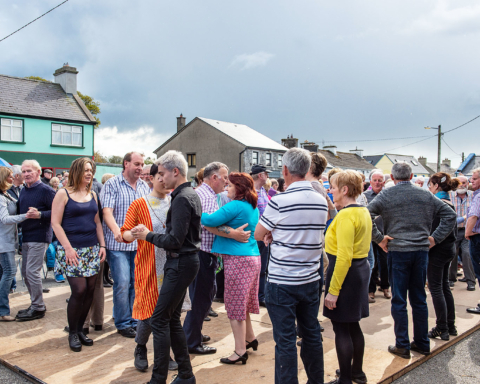 CLARE was rocked by two separate tragedies which claimed the lives of three people in early June. 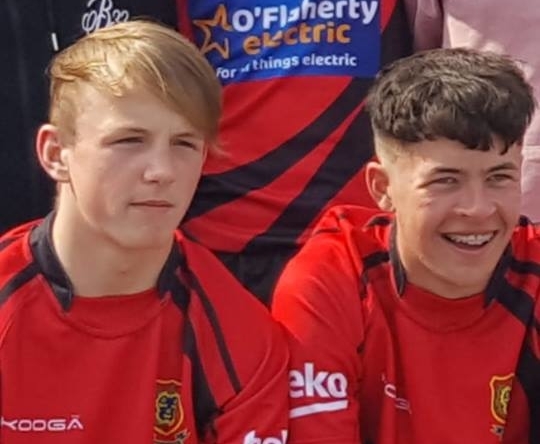 Shay Moloney and Jack Kenneally (both 15) were swimming with friends at an unused quarry in Roslevan where they tragically drowned. Ennis Cathedral was packed for the funerals of the talented rugby players. Speaking from the altar, Sean Kenneally said “Jack, if you are only a small bit proud of me as I am of you, I will be a lucky man,” while Fr Ger Fitzgerald said that Shay Moloney “had the heart of a warrior”. Just days later Crusheen man, married dad of three Michael Fogarty died in a traffic accident on the M18. 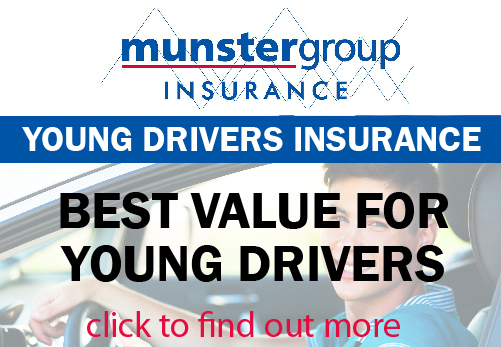 The incidents came two months after Kilmaley minor hurlers Oisin Cahill and Darragh Killeen lost thier lives in a car accident at Woodstock on Easter Sunday. All Munster suffered sun stroke and the grass was all burnt dry…Clare’s hurlers restored huge pride in the Banner jersey this summer with wins over Waterford, Tipperary and soon to be All-Ireland champions Limerick helping to send Clare on their way to an All-Ireland smie-final. A ticket scramble ensued in Clare which saw lines of fans at Centras and Supervalus around the county as the Banner brought reigning All Ireland champs Galway to a replay at Thurles. Meanwhile, Jim Warny received the welcome home he deserved at Shannon Airport with over one hundred people gathering to mark his return. 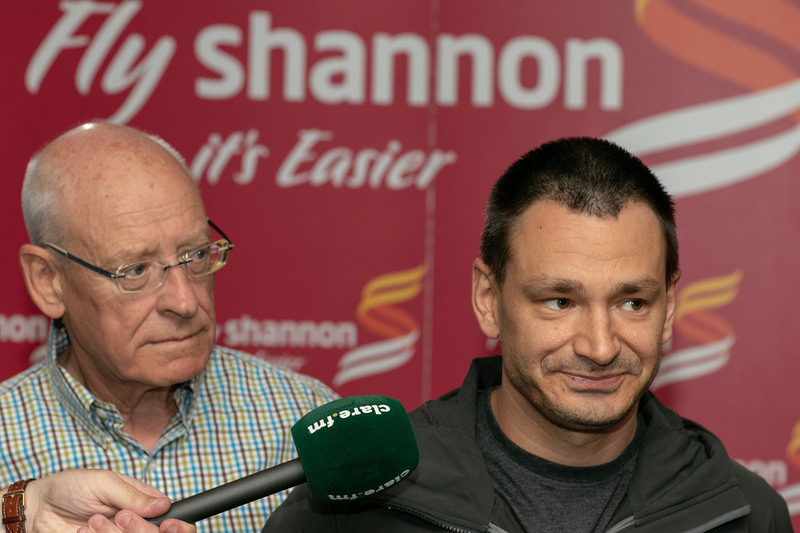 Once the Belgian national walked through the arrivals hall at Shannon Airport, cheers and rounds of applause erupted. As first reported by The Clare Echo, Jim who has been a resident of Ennis for 15 years travelled thousands of miles to Thailand to help in the rescue of the Wild Boars football team that were trapped in the Tham Luang cave complex. On August 23 we reported that controversy had erupted over the proposed Supermacs Plaza on the outskirts of Ennis. Fourteen people who appeared to support Supermac’s plans formally withdrew backing for the project. It later transpired that a number of the letters were forged, using names of people without their knowledge. Names included those living abroad, and deceased. More than 190 submissions were made with 187 of these coming from Clarecastle residents. Their names appeared on identical letters that were all lodged by one individual. Earlier, a joint 54-page submission from members of Ennis Chamber highlighted their opposition to the development. Meanwhile, it was also announced in August six post offices were to close in a hammer blow to rural Clare. Elected members of Clare County Council voted for Peter Casey’s name to appear on the ballot paper for the Presidential election. At the September meeting of the local authority held in Áras Contae an Chláir, seven councillors voted to put forward the businessman to contest the upcoming Presidential election in accordance with Section 16(1) of The Presidential Act 1993. Independent councillor Ann Norton proposed the nomination Mr Casey and she was seconded by fellow Independent Gerry Flynn. “I think it is fair that each candidate is given the opportunity and I would like to see Clare County Council nominate Peter Casey”, she outlined in her proposal. 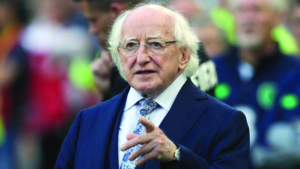 Peter Casey polled strongly in Clare, however President Michael D Higgins ultimately won by a landslide. 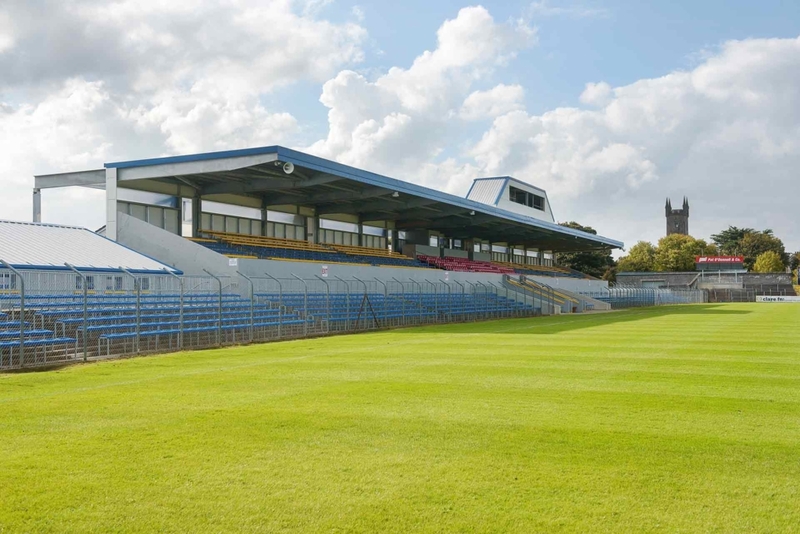 Concern was expressed with the lack of consideration for health and safety of spectators at the home of Clare GAA. When the final whistle sounded in Cratloe’s semi-final win over Kilmaley, just a single gate was open for spectators to exit Cusack Park. Large queues formed and it took several minutes for the main gates to be opened while over a thousand people attempted to leave the county grounds via one gate. A spectator told The Clare Echo “there was a lot of chaos”. Meanwhile a table constructed in part from the wood from the wreck of a Spanish Armada ship from 1588 sold for €360,000 at Adams Auction. When the buyer’s commission of 20 percent and VAT were included, the total cost for the successful bidder was over €430,000. Its guide price prior to auction was between €100,000 and €200,000. The table was at Dromoland Castle, home of the O’Brien, clan for over 300 years until it was moved to Bunratty Castle in the 1960s. 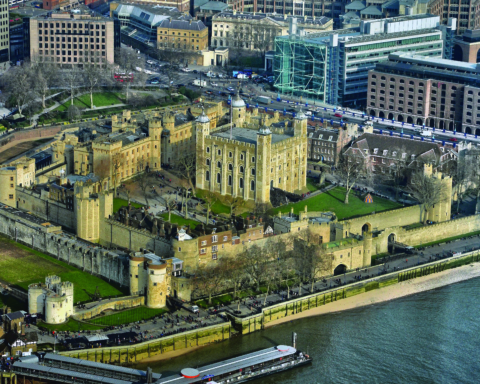 Lord Inchiquin, Conor O’Brien cited ‘financial reasons’ for his decision to sell it. 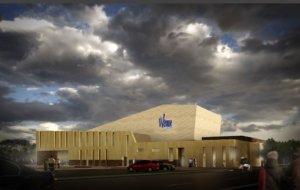 Plans for a data centre development in Ennis were unveiled by Clare County Council that it estimates will result in an inward investment of €400-500m. The local authority outlined it is seeking to amend the county development plan to facilitate the development on a 51 hectare site close to the Tulla Road (exit 13) junction on the M18 motorway. 1,100 construction jobs would be created during the development with a further 200 permanent data centre positions. The estimated size of the data centre is 1m square foot. Meanwhile gardai investigated an act of vandalism after the WWI Memorial in Ennis was destroyed. Cllr Mary Howard, a member of the Clare Peace Park committee who commissioned the memorial, described the culprit as a “gormless, spineless coward”. THE committee tasked with delivering The Shannon Venue announced that the project had been scrapped, blaming lack of support from the Government for the ‘badly-needed’ project. 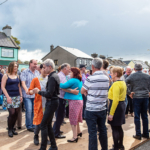 In a statement to The Clare Echo, ‘Croí na Sionna’ said, “With a heavy heart, today is the day that we announce that lack of support from government has brought The Shannon Venue’s efforts to deliver a Community, Civic & Creative Centre for the town to an end.